Episcopal priest | Enough for now . . .
Notice the action words contained in these questions: continue, persevere, resisting, proclaim, seek, serve, loving, strive, and respect. Our baptismal covenant is not a passive proposition! We are not baptized to sit quietly in our private prayer closet and blissfully ignore the challenges of a broken and sinful world. We are not called into isolated solitude, unconcerned about the challenges and attacks visited upon the least or marginalized among us. We are called, in baptism, to be the Body of Living Christ in the world. Beyond the action words, these questions of the baptismal covenant call us into the moral and ethical community of the apostles. Baptism calls us to be a living community of grace and love in the world, making the sacrament of our faith, bread and prayers, real and available to all. Baptism calls us to reject evil and confess our failings. Baptism challenges us to evangelism, to make the Gospel, real and palpable in the world. Baptism requires we reach out to all people, standing for justice, peace, and dignity for every human being. I will–This is the declaration to action we affirm every time we celebrate a baptism. I will . . .
On Friday and Saturday, in Charlottesville, VA, our nation and our faith was shattered by unfettered evil, wickedness, and malevolence. The organizers of the “Unite the Right” rally in Charlottesville, the neo-Nazis, the alt-Right, White Nationalists, and other related hate groups, must understand they are completely and totally rejected by the moral and ethical beliefs held by the Body of Christ—the Church. Such rejection must be clear, emphatic, and powerful. In moments like this, the faithful must be unrelenting in their public rejection of such manifestations of hate and evil. The Church has failed this challenge at historic moments in the past. We must not fail in the challenge we face in this present moment. When my first daughter was born, as I reflected on the broken history into which she was born–of slavery, of the Nazi Holocaust, of the violent rejection by too many of the Civil Rights movement–I committed to never stand passively and allow such evil to progress unchallenged in her world. 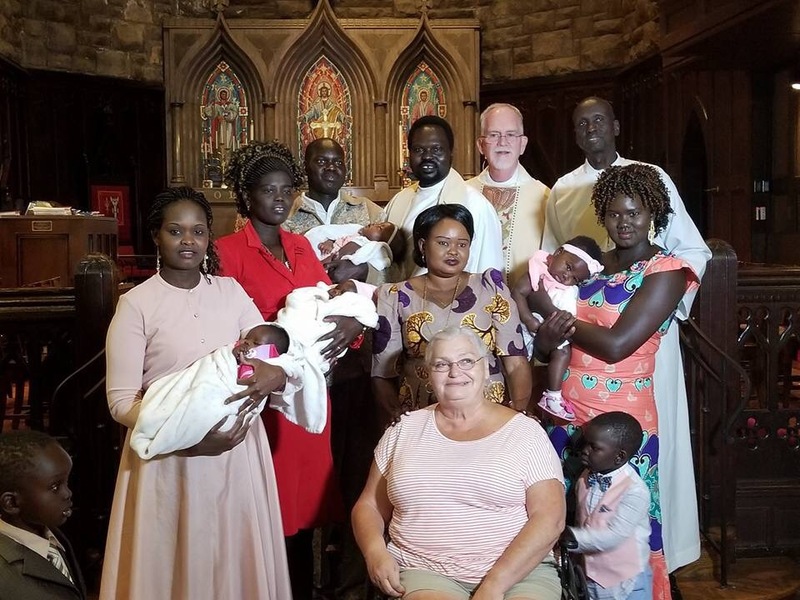 For each of my daughters, for all the children I have presented for baptism, and for my Lord and my God, I commit to unreserved and active rejection of those who promulgate hate, intolerance, racism, or any form of malignant, vile, and perverted evil. The Charlottesville event and the rising, unfettered hate-movement reviving in our country is a challenge to the Body of Christ–the Church. Let us with courage, faith, and decisiveness reject the darkness of evil and hate in all its forms. Let us be the light of Christ in the world that overwhelms this present darkness. Let us make our baptismal covenant and our faith real and alive in the world. This week I found a newly “hatched” Eastern Tiger Swallowtail butterfly in the garden. It was working mightily to unfold its newly liberated wings. I am not sure, but it is possible there was some defect in one wing as it seemed to be excessively crumpled. The butterfly was struggling to hold on to a leaf while, at the same time, get that one wing to deploy for its intended purpose. I watched for a few minutes. It seemed not to be going well. I wondered how things would work out. While otherwise robust and healthy appearing, one crumpled wing may be this butterfly’s undoing. I watched for a while longer and then walked away. I left the butterfly to its struggle for life on its own. All around me, crumpled lives are struggling to find a chance in our culture and society to unfold successfully. Unlike the butterfly in my garden, my faith does not allow me to walk away. Too often the people I observe are not crumpled by their own doing. Too often they are crumpled by systemic forces determined to prevent success. Too often they are crumpled by malevolent powers that purposely seek to prevent success. Too often they are crumpled by injustices allowed, intentionally or unintentionally, to proliferate in our culture and society, preventing success. Too often they are crumpled by the denial of access to the resources needed to promote success. The story of our faith does not offer the option to walk away from the crumpled. Indeed, as crumpled people ourselves, saved/served by the unmerited grace of God, we are challenged to serve those whose lives are crumpled. Truly Lord, when did I serve you? When you served the crumpled you served me. What is it God expects of us? To do justice, love mercy, and walk humbly. It has been an odd few days in time for this pilgrim. 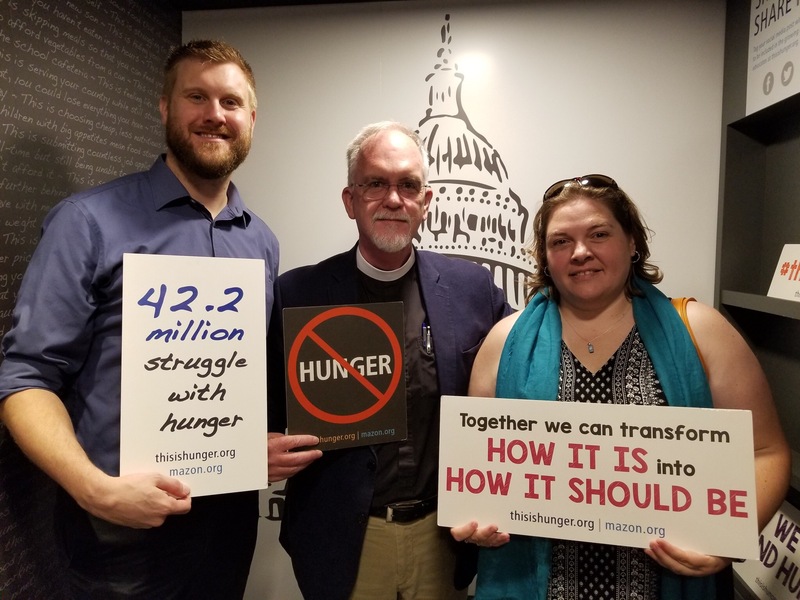 One day this week I was reading a speech given by Congressman Joe Kennedy at “The Summit,” the annual gathering called by Sojourners magazine of faith and justice leaders in our country. It was a magnificent speech reminding the faith community that it is our lifes’ vocations to pursue justice for all, especially the marginalized and forgotten, the poor and hungry, the persecuted and lost. In the midst of this, he offered a quote from Augustine of Hippo, the great 4th Century theologian who contributes greatly to the identity of Western Christianity, “Charity is no substitute for justice withheld.” These words ring true, but for the life of me I could not find validation that they are actually words of Augustine (I chase more rabbits trying to find primary sources of important quotes). In my searching, I came across another quote attributed to Augustine but equally untraceable, “Hope has two beautiful daughters and their names are Anger and Courage. Anger at the way things are and Courage to see that they do not remain as they are.” I very much appreciate both of these quotes and will continue to seek their origins. Still, I will attribute them to Augustine, with qualification, as many have, and will use them to challenge us to the baptismal living to which we are called and the life vocations Congressman Kennedy suggests. I also remembered this week we are remembering the 100th anniversary of the arrival of US troops in Europe to aid the allies in the Great War. I am reminded of the reality of this war (WW1) every time I walk through the blue hall at St. Paul’s and see the memorial plaque on the wall with the names of 99 parishioners who served, including four who died and six women, in the American Expeditionary Forces in Europe. The inscription on the plaque reads, “For His name’s sake they went forward that peace and happiness, truth and justice might be established among all nations.” The peculiarities of wars’ causes, the casus belli, perplex me. And, though the aforementioned Augustine provided a solution to a war approved by Christianity–that is “just war” ( jus bellum justum ), I remained unconvinced as a person of faith and moral agency that I will ever understand war as other than tragic and reflective of our unwillingness to seek fully God’s vision of the Kingdom. Consequently, for me, war is forever a sign of our obdurate hearts and implacable moral blindness. However, I do not imagine the soldier bears the burden of these stains on human history. Rather, in almost every instance, it is that small cabal of powerful and privileged, considering only minimally the human consequences of war, who bear the responsibility, instead seeking more privilege and power to feed their insatiable appetites for both. Thus, I lament the human pains and sorrows inflicted by war as well as its insult to the human spirit. It is here I embrace Hope’s two daughters and pledge to never disavow my obligation to stand for the common person, the common soldier, our common humanity, and resist war in every instance. I was disheartened this week by an advertisement published by the NRA. There is no explanation for their intent or purpose in this ad other than to incite violence and hate toward Americans who dare to disagree with them. The venom with which this ad creates a ubiquitous “enemy” to those who are the NRA is frightening and contrary to everything America represents since Pierre Eugene du Simitiere, an American patriot, suggested e pluribus unum ( out of many, one) be the motto on the seal for the Colonial Congress in 1776. The advertisement ends with an ominous warning, “The only way we stop this (referring to fake news, protest, and civil disobedience), the only way we save our country and our freedom, is to fight this violence of lies with the clenched fist of truth. I’m the National Rifle Association of America, and I’m freedom’s safest place.” The ad is being denounced by progressives and conservatives alike as a thinly veiled call to arms and violence. I was once an active member of the NRA. I valued its lessons on gun safety, hunting, and wildlife conservation. No longer. It is now a vicious and destructive organization that serves no socially redeeming purpose in modern civilization. While we, the faithful, are called to seek justice, mercy, redemption, reconciliation, and peace, this group is calling its members to prepare for violence and war. Finally, last night I attended a rally for the fight for a living wage in Kansas City. Many parts of the rally were moving, but the highlight was a song sung by a small group of singers. The song, “Freedom,” (click to music) was so filled with hopefulness and joy! My video can only convey a small part of how beautiful this moment was for me. August 8, you will have your chance to express your opinion about a living wage in Kansas City. I hope you consider your vote prayerfully. So, the journey of the week was a roller-coaster, filled with joys and sorrows. Still, God was with me all along the way; for that, I am always thankful.